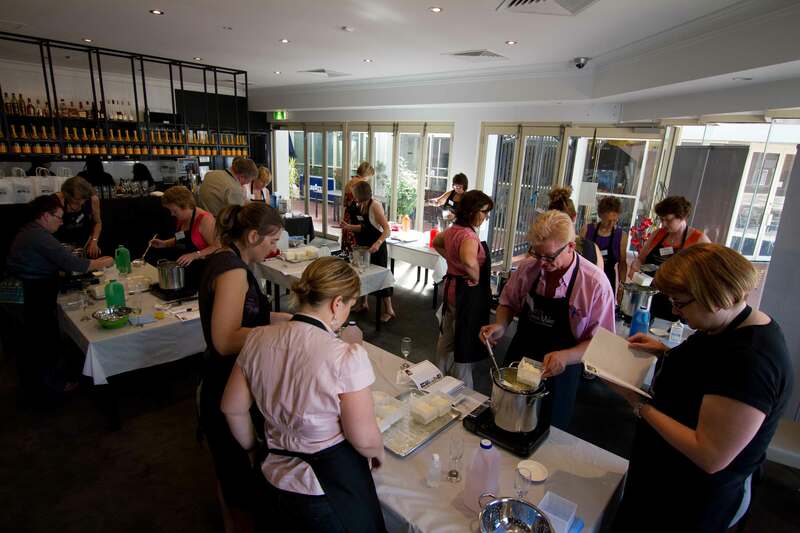 Cheese making makes a fantastic corporate event. Whether it is entertaining clients, team building or rewarding your personnel, The Cheese Maker will ensure your next corporate event is one with a difference. We offer a range of events for various group sizes; from short special event evenings or afternoons, to full day cheese making workshops. Experiences can be customised for your event….whether it be a relaxed occasion to interact, a bit of fun competition, or something in particular you want to create, it’s easy with cheese! Our standard course venue at Swan Valley Central is the perfect venue for intimate corporate events of 8 -30 people.